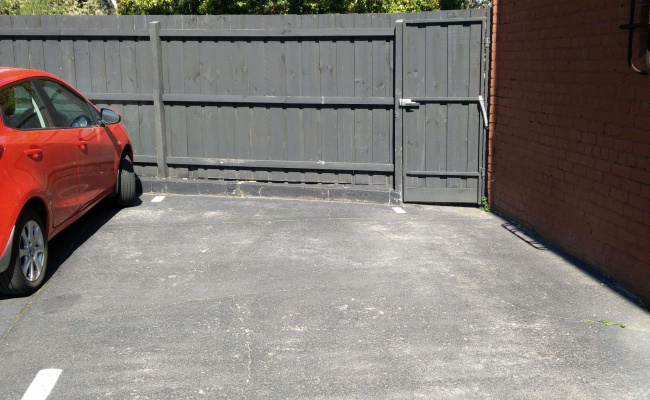 This parking space is an outdoor lot at the back of our apartment building. 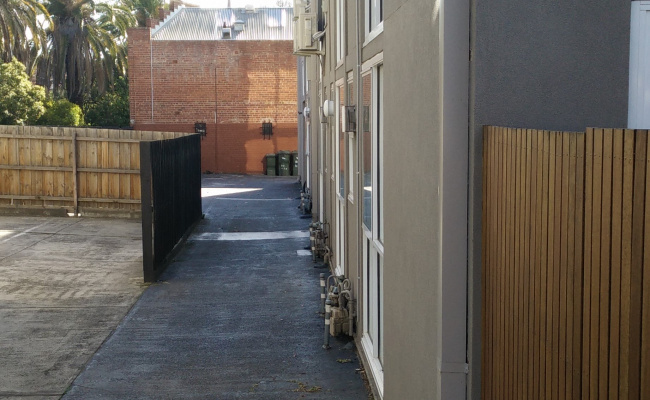 It's conveniently close to the Hawksburn station, the door in the picture offers a sneaky shortcut to get to the station fast. There is no access control, so you can come an go as you please.